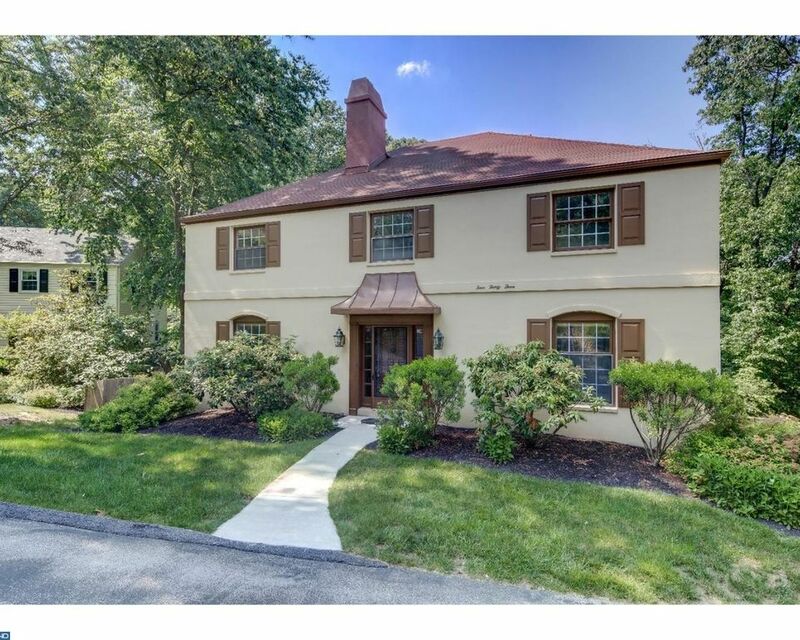 Unbelievable Value for Beautiful French Colonial situated on a private lot on a quiet cul de sac location in sought after neighborhood in Tredyffrin Township. This setting offers total privacy with beautiful landscaping, large rear fenced yard, and spacious rear deck. Interior features include large center hall with turned staircase with double entrance, Living Room with fireplace, formal Dining Room with crown molding and chair rail, totally updated Kitchen with all new stainless steel appliances, new granite countertops, and tile backsplash. The Kitchen opens to a sunny Family Room with door to large deck. Convenient first floor Laundry Room, full Bath, and private study or possible 5th bedroom. The 2nd floor boasts a master suite with new California closets walk in closet & Master Bath, and 3 additional bedrooms with great space served by a hall bath (vanity countertop and faucets to be replaced). Walkout Finished Lower Level adds additional living space and features a 2nd fireplace. Features include refinished hardwood floors though out most of the house, neutral decor, and spacious room sizes. This convenient location is within walking distance to Hillside Elementary School, TE Middle School, and Conestoga High School, close proximity to the train, all major highways for commuting to Center City or the airport, and within minutes to Berwyn, Wayne, Devon, and King of Prussia for shopping and local restaurants.